Beautifully ornamented Thor's Hammer is a perfect protector even in modern times. 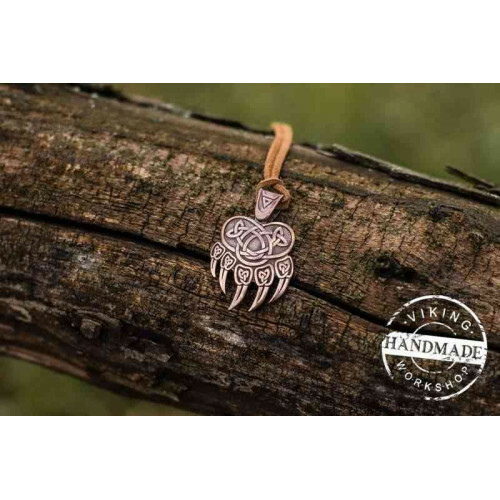 The pendant features a power of deity tool and provides its owner wisdom and knowledge, protection from evil forces and evil eye. Legends say that only worthy people can get protection of the symbol. 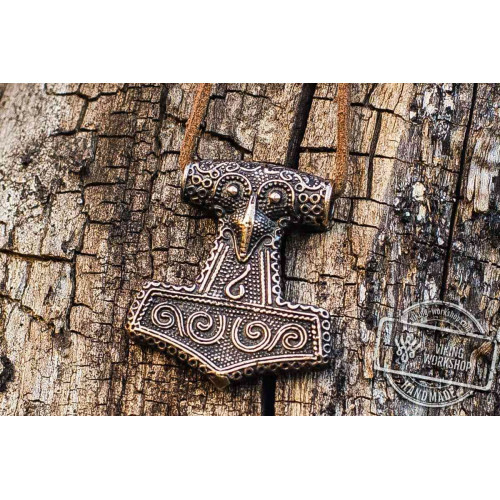 Our store offers various representations of Thor's Hammer – from the simplest forms to the most exquisite ornaments and decorations. This one is made of bronze but is also available in silver and gold. The price varies. 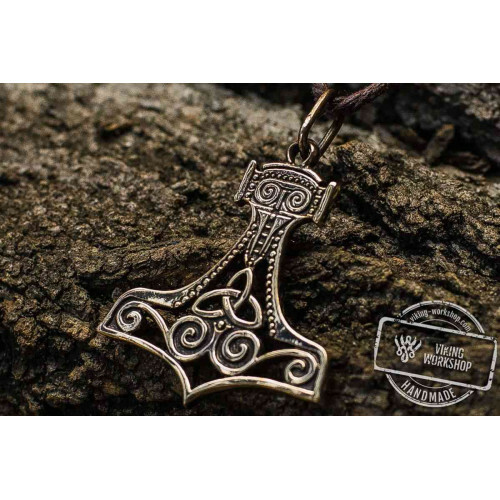 Thor's Hammer is used to symbolize faith and dignity, power and strength. We recommend wearing the pendants on chains. Our store offers interesting solutions for your charm. Chains keep the pendants securely. Though the cords are of great quality and durability, still chains are more preferable.